It’s hard to believe, but when I look back I see that I haven’t skied any new 14ers in a while. Harvard was two years ago now, and before that was prior to Denali – a full five years ago. 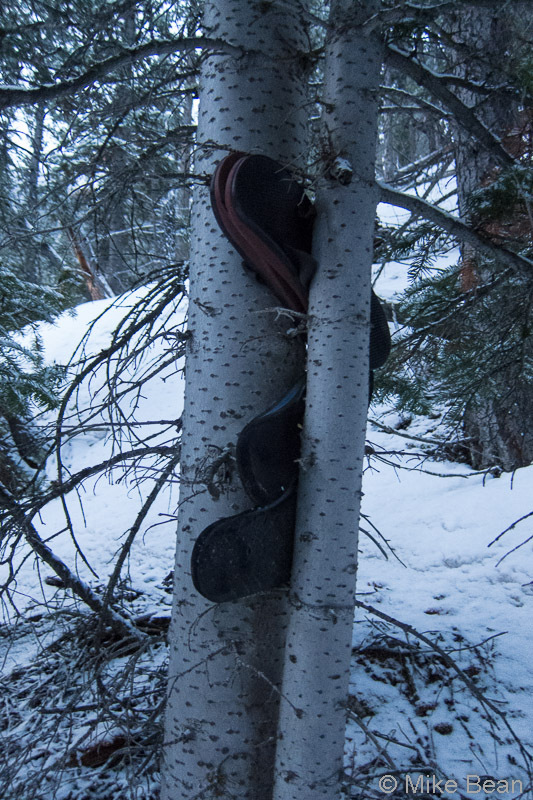 There are a lot of reasons why – time has been tight, along with poor snowpacks and stability, capped off with a lack of motivation to wake up entirely too early to drive and climb all day. This season’s incredible snowpack, combined with an impending deadline that will likely cut off my season mid-May, have me excited to get out again. This was the first weekend that held a pleasant forecast after the snowpack stabilized to my liking, so I had to take advantage of it with a big day out. Saturday’s outing started like most do – packing up Friday afternoon, setting the alarm for 2am, and going to bed early. Lucky for me, I was wide awake at 1am and didn’t need the alarm. I tried to go back to sleep but gave up about 1:30, got out of bed, and fired up the coffee maker. Several cups later, John arrived and we got on the road. We pulled up to the lower Princeton trailhead just after 5am and decided to see how the road went. Half a mile in we encountered enough snow to make the road impassable, saving us a mile of walking on a dirt road in ski boots. No complaints here. 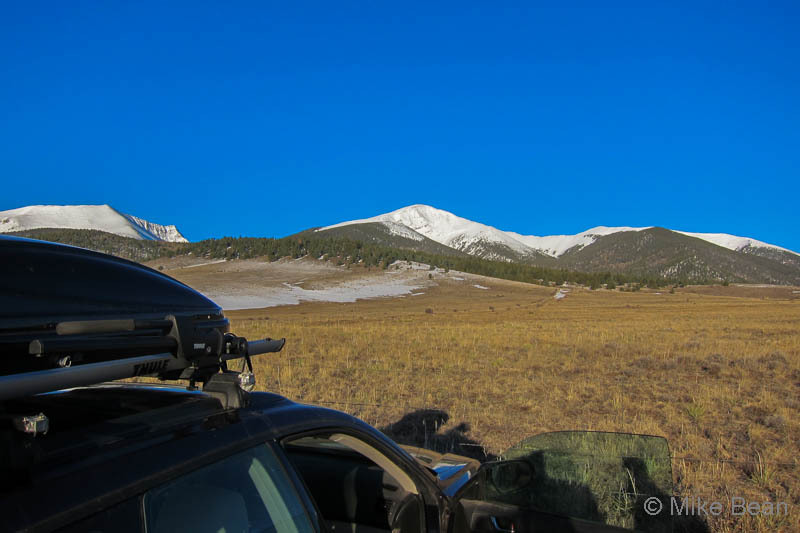 We made our way up the road for a while, until we came to a switchback around 10,500′ that butted up against a SE-facing slidepath on Tigger Peak, the 13er you have to traverse to get over to Princeton. It seemed solid and supportive, so we started going straight up. La Plata is a peak I’ve been wanting to ski for years, but one thing or another always got in the way. This time the stars aligned though, and I got to enjoy one of my most enjoyable 14er ski days ever. Though the roads were dry, the drive was made interesting by a couple people who clearly should not have been driving at 4:00 in the morning. 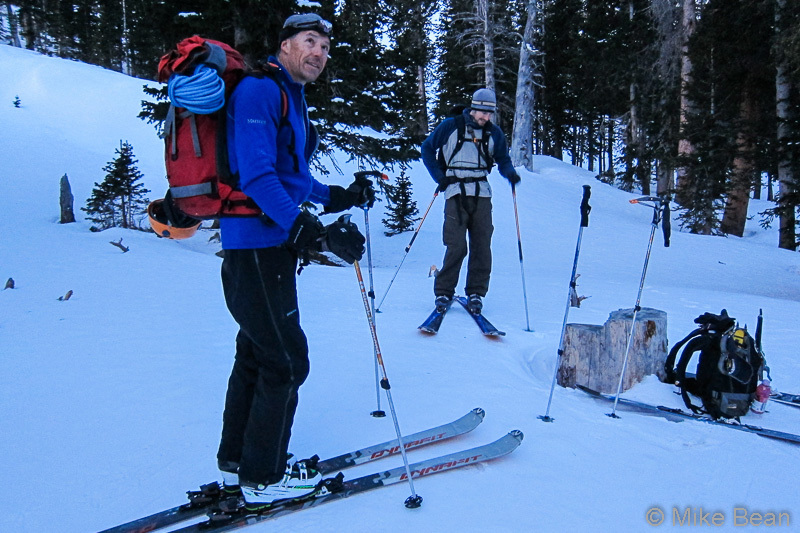 Matt and I met at the trailhead and were skinning at 5:30 sharp. There are days when everything goes right; this was not one such day. 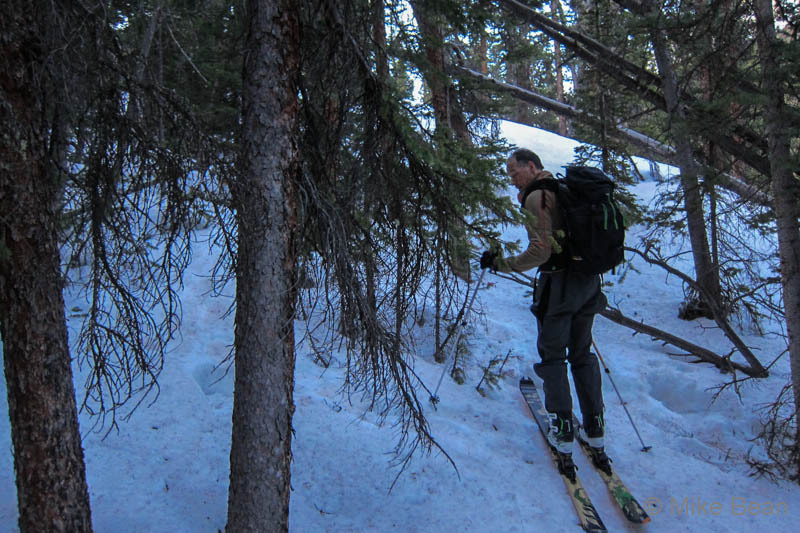 Tuesday was remarkable in that almost everything unpleasant about Colorado ski mountaineering wrapped itself up in a single day. I set my alarm before going to bed for 2:45am; my eyes opened at 1:55am and I was pleased to see that I had another hour to sleep. Next thing I know, it’s 3:50am. Fortunatley I’d completely packed up the night before, and was able to be on the road in record time with wheels rolling at 4am sharp. I made good time and met Matt at the trailhead just prior to 7am, only half an hour late. I’ve been itching for ski mountaineering season to roll back around, and we’re finally getting there. Much of the state isn’t ready yet, but with its thinner snowpack and warm, sunny weather, the Sangres are rapidly coming in to condition. The timing on this climb was a bit unusual, with Eric and I heading straight down for the climb after a full day of work on Thursday and skipping the couple hours of poor sleep that these days typically start with. We made it up to 9,800′ on the Lake Como road before being stopped by snow, and were moving at 1am. 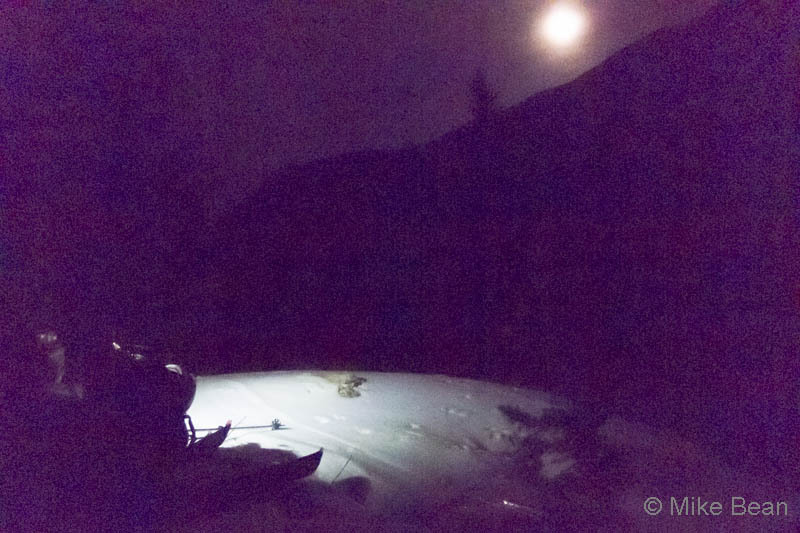 Despite a relaxed-feeling pace, we made quick work of the road and hit the base of a north-facing couloir at 2:30am. This was our one point of concern in regards to snowpack stability, and we spent a full 90 minutes digging pits, poking around, discussing, and slowly working our way in to the line before making the call to continue upwards. A few weeks later, more snow, and a fair amount of melting later and we were back, slogging up the snow-covered road to South Colony Lake at four in the morning. We came armed with ropes, slings, and plenty of gear this time, doing everything we could to ensure success.